I’ve lived in Chatham since the fifties. My aunt and uncle were one of the first African American couples who lived here. It was an all-white area at the time. Within two years, white flight took place. African American middle class professionals moved here. Doctors. Policemen. Judges. Politicians. Dentists. Before long, I had five family members with houses on the same block—the 8400 block of Prairie. My auntie was a great cookie baker. Her home became one of the gathering spots where children on the block came. All the neighbors knew each other. The kids were seen as everyone’s kids. Chatham is still like that today, very in keeping with African American culture and tradition. You know, family values and nice well-kept places. There are not a lot of [boarded-up homes], or unkempt yards. If a house is abandoned, neighbors take care of it. It’s a place of peace, well-manicured lawns, people politically and socially active. And it hinges on certain points of cohesion. One is the block clubs. On every block, the heart of community has always been the block clubs. They used to send welcome wagons. My uncle got one when he moved in….Doing grass on Saturdays and Sundays and tinkering in garages were places of camaraderie….They would meet weekly to talk about what was going on. And they would get things done. They still do. They’re still a force. Recently, coalitions of block clubs went to various schools to ask principals what they needed that homeowners could provide. The schools are another point of cohesion. That’s reflective of our values… Dixon Elementary School, especially, is special. Its curriculum is themed around art and Black culture. And it hosts a yearly festival for African arts that draws African American people from the whole city to our community. The churches are [also] places with a lot of social programming and places to gather to organize. St. Marks is really representative. It has [one of the first] urban gardens, and teaches people of different generations how to garden. Our parks are also places of gathering: Avalon Park, Tuley Park, Hamilton Park, Wabash YMCA, Nash Park, Park Manor. Many have really nice facilities, but there isn’t enough programming any more. What’s left is line dancing in Avalon Park—a whole gym full of women and men that can get down! But our basketball courts used to be where kids from all over the city would come to play if they thought they were any good and wanted to prove themselves. Our baseball diamonds used to be full of Little League players. Now the parks are empty when school gets out. A final point of cohesion over time has been our restaurants. Army and Lou’s and Izola’s were once where you came after church for brunch or in the evening for a special meal. Block clubs met every Saturday at Izola’s for thirty years. We used to have bars too—three or four with live music and 4am licenses, each with their own personality and set of people. It was like the bar scene on the North Side. All that closed because of changing economics. We still have Lem’s, Luversia’s, Original Soul Vegetarian, Five Loaves, and Brown Sugar Bakery. People still meet at Captain’s Hard Times Dining—that’s the closest thing we have now to community political organizing of old. Our list of places has dwindled, because our economics have dwindled. The tenor of the neighborhood has changed from being totally middle-class to a little more mixed, a little more low-income. There are now large pockets of people who are unemployed. There aren’t enough jobs. There’s less and less affordable housing. The corner of 79th and Cottage Grove has become a corner where people hang out. A danger; a teacher was shot there recently. A brand-new situation for Chatham. It’s a complex issue. I’m not for demonizing low-income African American people. They are caught in a trap. Traditionally, we take care of each other. Where are the jobs? Where is affordable housing? Where is the recreational programming? Are there post-incarceration transition programs? I’m a part of a few restoration efforts. The Greater Chatham Initiative, helped along by the Chatham Business Association, is doing some important work. We’re still taking care of each other, and our community…. The idea that Chatham is so challenged is overblown, though our places of cohesion have tremendous differnces now. Life in Chatham was, and is, powerful and totally sage. 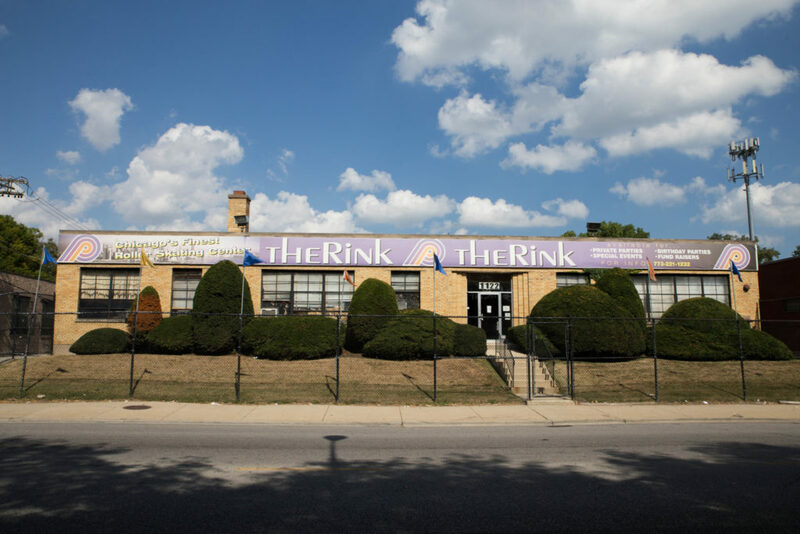 As popularized by Chance the Rapper’s smooth “Juke Jam” lyrics, The Rink has been a recreational mecca for the community since 1975. Though it has an understated and no-frills brick exterior, the interior is bright with colorful neon lights and walls reminiscent of the seventies with broad blue, orange, and purple stripes. It is a place for birthday parties for all ages with its joyful vibe, loud music, and laughter filling the room. Although today the music selection is varied, The Rink used to play strictly James Brown music, which birthed JB roller culture in the community. Founded by Calvin Small, the JB style of Chicago skating brings soul dancing to roller skating, employing intricate spins, slides, toe taps, and footwork. On Saturday nights, the whole community would come out to skate together, showing off solo skills, or watching to learn and enjoy. Technically in Avalon Park and typically associated with South Shore, but still counted within Greater Chatham, the Avalon Regal Theater is nothing short of magnificent, inside and out. Currently, only the exterior is accessible, due to the theatre’s complicated history. It opened as the Avalon Theater in 1927 and was the jewel of the neighborhood until the late 1970s, when it was closed and turned into a church. Ed and Betty Gardner then bought the building in 1987 and the theatre reopened as the New Regal Theater, taking its name from the demolished Regal Theater that had stood at 47th and King Drive in Bronzeville. That theatre was the center of entertainment in Black Chicago from the 1920s until it was demolished in 1973. Unfortunately, sixteen years after it reopened, the theatre closed again due to low attendance. That is, until 2014, when Chicago businessman Jerald “J.” Gary bought the theatre three years ago for $100,000 in a foreclosure deal and has poured $1 million into the historic building. It is getting closer to opening again, now as the Avalon Regal Theater which Gary hopes will reinvigorate the neighborhood. Even without interior accessibility, the theatre is worth a visit. The expansive facade features arches, cupolas, towers, and intricate blue, green, and yellow patterning reminiscent of a mosque in a Middle Eastern city. Its western exterior wall features a gorgeous, broad mural by Caton and Calvin Jones depicting, in brilliant detail, the likenesses of the many famous blues musicians that once performed at the old Regal Theatre like Louis Armstrong, Billie Holiday, Duke Ellington, Stevie Wonder and Nat King Cole. Above the entrance is a neon red and blue sign spelling “Regal” in seventies-style block lettering. And, when the theatre soon reopens, new and improved, the interior will be just as spectacular as the exterior. In the original design, you entered into a lavish lobby, every surface of which was adorned with complex and colorful Moroccan-inspired patterns. Block pillars upheld a second-floor veranda that wrapped around the entire room, and an incredibly high ceiling that glistened with gemstones unfurled like a flying Persian carpet above it all. Passing from the lobby to the auditorium was like entering a glamorous outdoor bazaar, with a dark tent over the stage simulating a night sky, complete with twinkling lights as stars. The room seated more than 2,000 guests in plush red velvet chairs. He has captured the revolutionary energy of Black Youth Project 100 marches, the silly dysfunction of Chance the Rapper herding groups of CPS students through the Field Museum, the behind-the-scenes action of Vic Mensa’s recent tour to North Dakota, the excitement and creative genius of Chance and Malcolm London’s Open Mikes, the essence of Chicago’s Youth Poet Laureate ’16 E’mon Black and countless other young creatives. If there is an event with young creatives or activists in Chicago, there’s a good chance that Chris ThoughtPoet is there with his camera. ThoughtPoet is a photographer, a poet, and the Communications Chair for BYP100. His photos have been picked up by The Fader, the Tribune, and Essence. 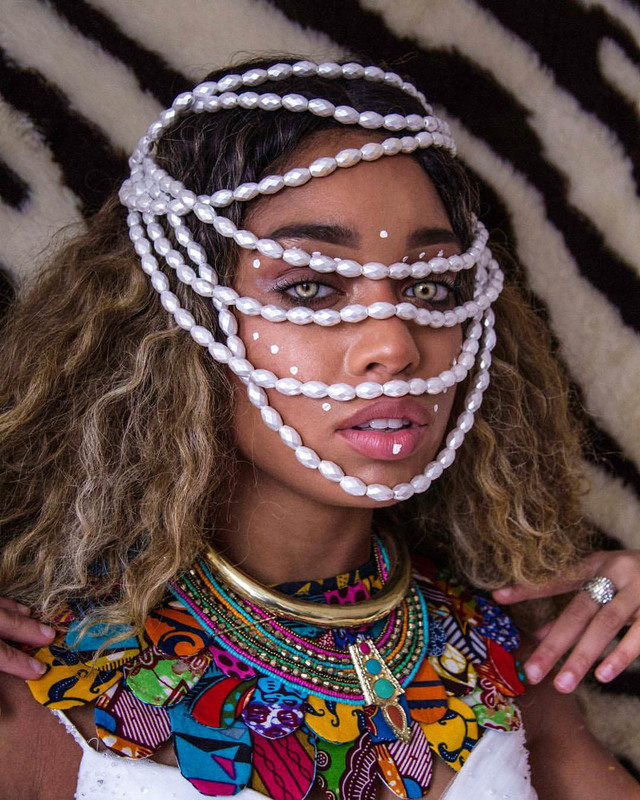 They’ve been the focus of a two-day solo showcase called “Heart Melanin” at the Breathing Room, and are currently the featured display at Build Coffee. And they bring thousands of people to his instagram, @thoughtpoet77, and his blog, thoughtpoetsopinions.tumblr.com. 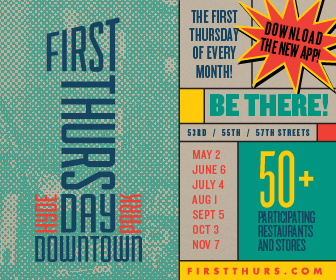 ThoughtPoet was born and raised in Chatham, on 91st and Langley, right across the street from Tuley Park. As he grew up, his creativity was fueled by his grandma and by Chatham—both its vibrancy and its ailments. 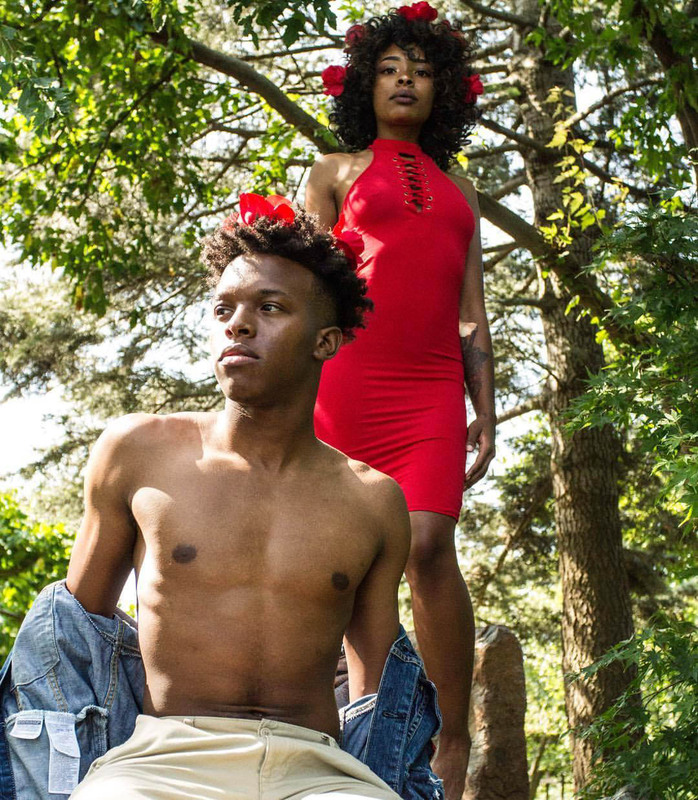 Though ThoughtPoet started “messing around” with photography using his grandma’s camera when he was around thirteen, he’s only taken it seriously for the last three or four years, after dropping out of Columbia College. He’s self-taught. And, partially as a result, he cares less about technicality in photography than about emotion and spirituality. 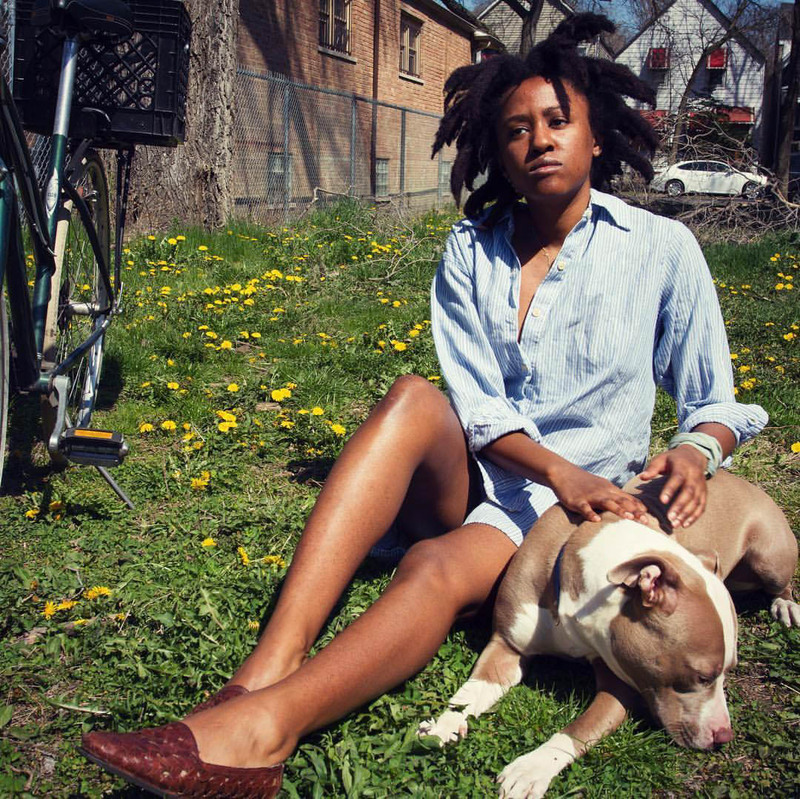 The Weekly is a volunteer-run nonprofit written for and about the South Side of Chicago. Our work is made possible through donations from our readers. If you enjoyed this article, please consider making a one-time or recurring donation. Donate today. My family is from the Grand Crossing area. It’s too bad that whites and blacks couldn’t have lived together in peace and harmony and saw the best in each other! Joyce it was a tragedy the way people fled the Chatham area when i was a teenager. I graduated from Arthur Dixon elementary school in 1956 and Mendel Catholic high school in 1960. When i returned from the army, my home was no more. My mother had died and father had relocated. the Chatham area looks like a well maintained area to be proud of.